Wondering which chair design would suit your backyard? Stop thinking. Instead, let nature take its course by growing eco-friendly grass furniture for you. 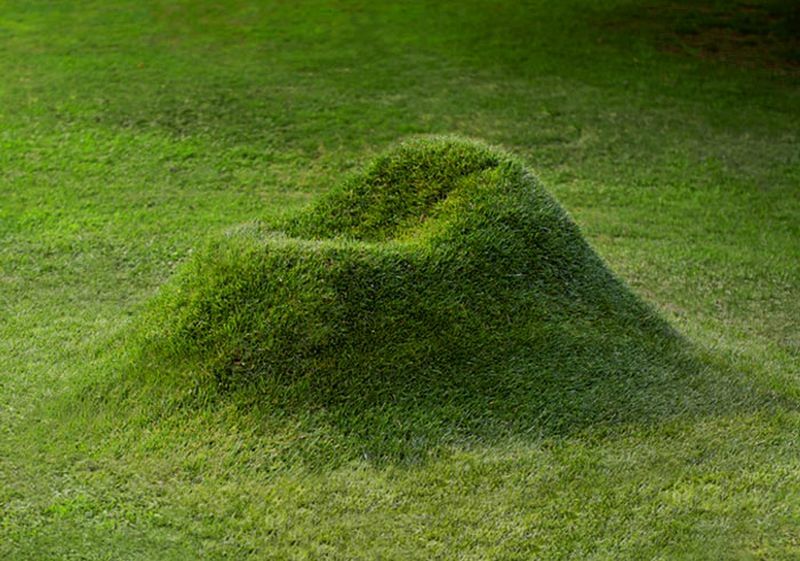 TERRA grass armchair by Studio Nucleo is organic grow-it-yourself furniture that is capable of forming a seating while matching the green landscape. 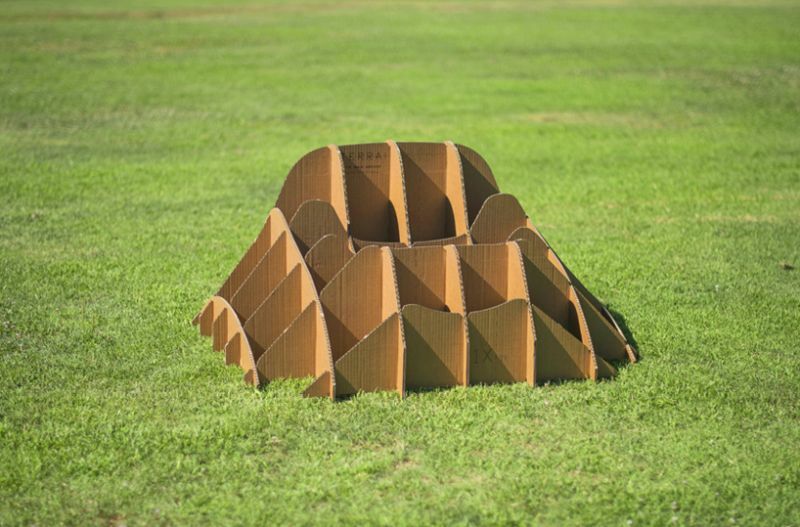 The grow-it-yourself armchair consists of corrugated cardboard pieces and a pack of grass seeds. 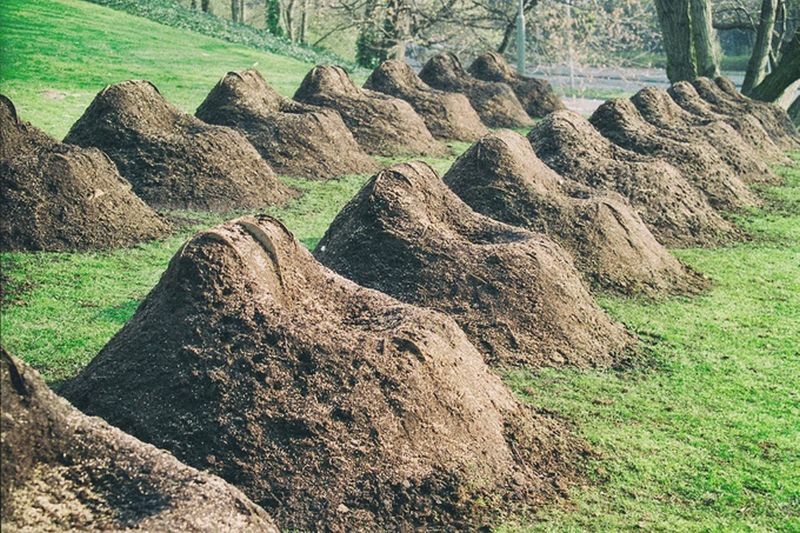 All you need to do is set up the cardboard frames in the lawn, pack it with soil and sprinkle grass seeds on the pack. After two months of daily watering, a beautiful grassy chair will grow in the garden. Originally these Terra grass chairs were sold between years 2000 and 2005. But after realizing that self-production is no longer sustainable, designers Andrea Sanna and Piergiorgio Robino of Studio Nucleo stopped manufacturing the DIY grass chair. After 11 years, they came back after receiving a letter from a woman, who wanted to order Terra grass chairs for her garden. On her demand, the designers decided to resume building their signature lawn chairs. Currently, they are seeking funds on Kickstarter. A pledge of about $129 can secure you a DIY kit to create a small Terra armchair. However, for the full-sized chair, you’ll need to pledge a minimum of $279. Terra grass chair costs high, but offers the most natural way of making your own lawn furniture, without any negative impact on the environment. Moreover, you don’t even have to worry about furniture damage due to the elements provided with you to cover the armchair during the rains until the grassy layer is thick. Update: The Terra Growing Furniture was successfully funded on Kickstarter. If you’re interested, you can now buy the mythical TERRA grass armchair from Nucleo’s website for €290 (also check out the other models). You can also purchase the Studio Nucleo Terra from Amazon.